Applicable Machine Type: Indoor and outdoor applications. We are one of the trustworthy and renowned organizations, involved in offering a wide gamut of Hot Embossing Printing Machine Tape to our clients. 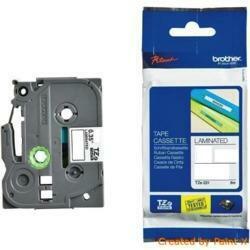 Label India offers a wide range of Brother Label Tapes to the esteemed customers. These tapes are available in various colours and sizes as per the its industrial use. Features This standard labeling tape come in wide variety of colours. using labels color-coded according to the objects to be labeled or their purpose makes it easy to organize and manage things. Our firm is a trustworthy enterprise, engaged in offering excellent quality Brother Label Printer Tape.